Published on embedded.com December, 2012. Susan Rambo asked me to put together a list of what I feel are the ten best things that have happened in the embedded space in 2012. Rather than do that, I've compiled what I see as the ten most important things this year for embedded systems. Sub- $0.50 32 bit processors. NXP and others have introduced ARM Cortex-M0 microcontrollers for tens of cents. Put a high-end CPU in your product for a tenth of the cost of a cup of Starbucks. Does this spell the end of 8 and 16 bits? I don't think so, but it does shift the landscape considerably. Ada2012 - a new version of Ada that includes design-by-contract to automatically detect large classes of runtime errors. Though Ada's use is still very small, it does offer incredibly low bug rates. In the past design-by-contract was only available natively in Eiffel which has a 0% market share in the embedded space. The Coremark benchmark goes mainstream. While Coremark has been around for some time, in 2012 a number of microprocessor manufacturers have started using it strategically to differentiate their offerings. Now Coremark is even found in datasheets. ARM leveled the playing field... will Coremark upend it? Ivy Bridge released. Though Intel's part is not targeted at the embedded space, their successful use of 22 nm geometry, enabled by FinFET transistors, is causing the other foundries to scramble. You can be sure we'll see FPGAs at this process node before long, which will mean higher density and lower power consumption (at least on a per-transistor basis). Today both Altera and Xilinx are shipping 28 nm parts. Foxconn plans to add 1 million robots. Nope, this isn't happening in 2012, but that oft-reviled company is starting to ramp up their robotics. What will this mean? A ton of layoffs in China, that's for sure. It will also be a shot in the arm for those vendors who make the embedded systems that go into robots. I suspect the economy of scale will drive prices down substantially, creating more opportunities for robots there and here in the West. The impact on employment will be scary. ARM's BIG.little heterogeneous cores. If there is a theme about embedded in the last year or two, it's that of power management. It's all about the Joules when running from a battery. A smart phone demands a ton of computational capability when active, but does spend most of its time loafing. ARM mixed a Cortex-A15 with an -A7 on one die. The A15 runs when demands are high; otherwise it sleeps and the A7 runs exactly the same code while consuming less power. Other vendors have taken somewhat similar approaches, like NXP in their LPC4350 which mixes a Cortex-M4 and -M0 on a single chip. To continue with the theme of power management, a number of vendors have introduced or improved tools to measure power consumption of devices. ARM's DS-5 toolchain now operates with National Instruments' data acquisition devices; Segger has a brand-new debugger that measures power, and IAR's has been improved. 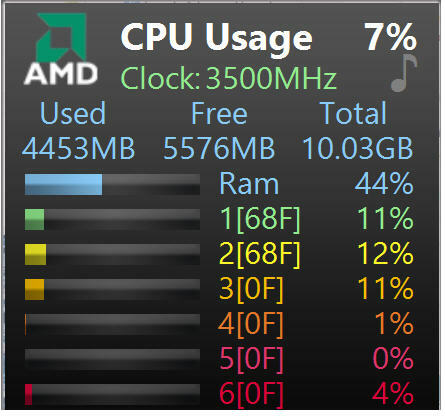 All three of these correlate power consumption to the running code (with some caveats). Then there are the low-cost devices like Dave Jones' uCurrent and a new-new and very innovative product I'm not allowed to talk about yet. The bottom line is that designers of low-power systems now have tools that operate in the power/code domains. Also huge in the last few years are new ways to interact with devices. Apple refined the UI with touchscreen swiping. Kinect uses a camera to sense a player's inputs. This year Microchip introduced their GestIC parts that sense hand gestures made within 15 cm of a device. It can detect the hand position in 3D space, flicks, an index finger making clockwise or counterclockwise circles, and various symbols. And, no, as yet it cannot detect that gesture you were just thinking about.